I'm back with another genius DIY project . It's really fun.I have to confess that I don't use mascara that's why I did not tried this recipe but tried this homemade mascara that prepared by my sister.She really liked it .Has same effect with cosmetic mascaras but with a difference ; it also feeds and strengths lashes. Well I always prefer natural if I have chance and at this point I have to suggest you to give a chance and try this homemade mascara. Melt coconut oil,aloe vera gel and beeswax together. Smash kohl dust well,add melted mixture and almond oil. 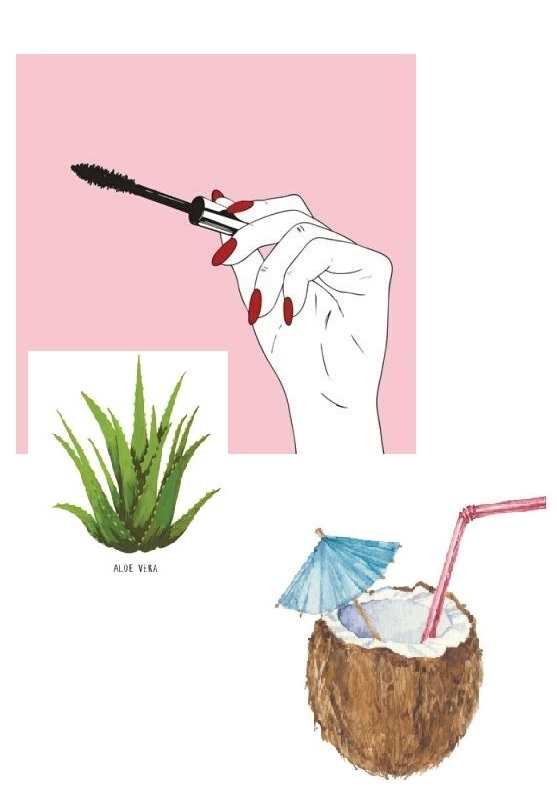 Mix all ingredients well,and that's all.You very natural,homemade mascara is ready. Lastly I've to tell that I unfortunately don't have certain info about shelf -life,that's why it'll be better for you to keep it max. 2 weeks. Hope you've enjoyed this post and will be happy if you share your own DIY ideas. See you at next post .